"Play your favorite games and use your favorite apps from mobile on your PC." Tired of playing your games on that small screen in your hand? Do you wish that some of your applications could be placed on a "larger" scale? Well you're in luck. The Bluestacks App Player will allow you to open android applications right from your Windows desktop. Bluestacks has been around for a while, but it has come a long way since its initial release. It now runs a modified version of Google's Android Operating System based off of Android 4.0 Ice Cream Sandwich - a step up from the Honeycomb that it once ran. ICS allows Bluestacks to be a lot smoother and more stable. Sudden application force closings are not as common and there are now more applications that are compatible with Bluestacks App Player. 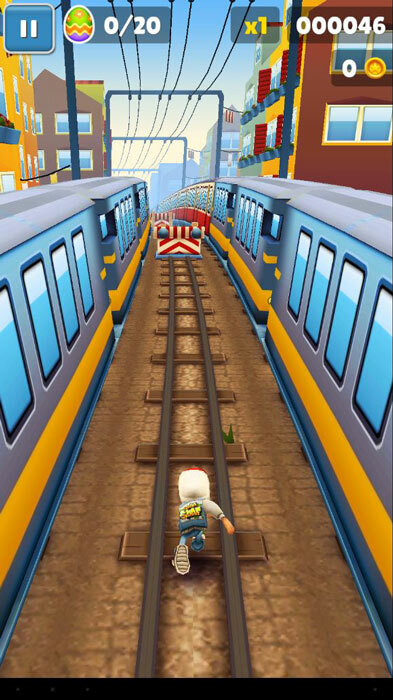 During my testing, I played the popular, addictive Android game Subway Surfers. When using Bluestacks to play Subway Surfers there was some noticeable lag between pressing the buttons on the keyboard to control the game, but once you play with the controls for a while, you get used to it. The visual quality of the game was exceptional and the overall experience was enjoyable. While most people use the Bluestacks App Player to play their android games on a larger screen, one must not forget that Bluestacks is Android first and gaming later. Bluestacks' custom launcher is extremely restrictive and would lead one to believe that it is running a completely different operating system, but a quick download of a launcher application from the Play Store like Nova Launcher will get you out of the "walled garden" and into Android itself.